Today, the content marketing battleground is fierce, as marketing writers vie for a spot on the first page of Google results. And how can they rank? The only way to win — meaning you attract your ideal customers to your blog post, keep them reading through the entire piece, drive them to convertible assets on your site via calls-to-action, convert them into customers, and build trust over time with your helpful, delightful content and service — is to consistently produce powerful original digital content. Before your buyer personas read your blogs, they need to find you online, and regularly pumping out rich content will ramp up your organic visibility and get not only more eyes to your site, but the right eyes. It’s no secret that every marketer is swamped with a myriad of daily tasks, all seemingly high priority. So, how can you keep your blog game strong? Get by with a little help from some great tools. Here, we’ve outline three we love because they keep our topics relevant, our delivery creative, and our reaching expanding. A big part of content marketing is curation. Marketers need to constantly stay abreast of the latest trends, and that takes a great deal of online digging. Not only does this take time, but it’s often difficult to find exactly what you’re searching for. The solution? A knowledge discovery tool! 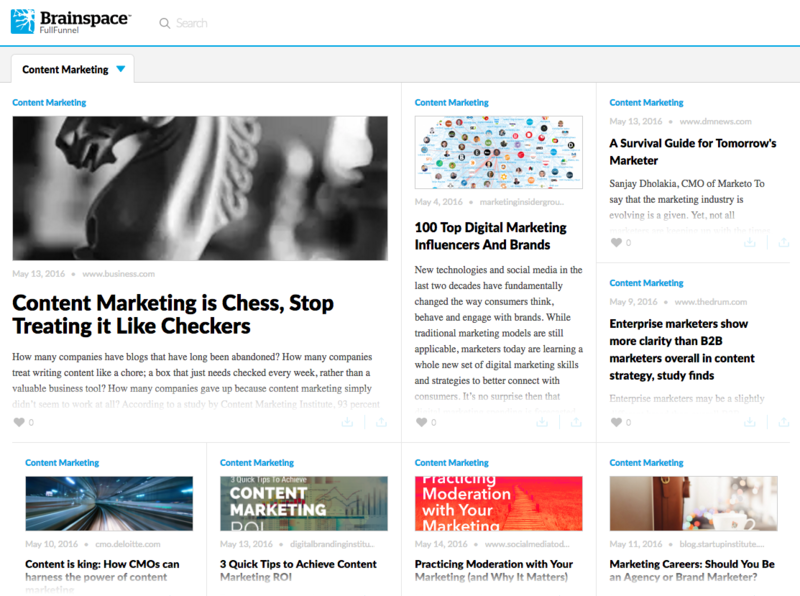 Brainspace for Enterprise can help content curators find the most relevant content and deliver it to the right people at the right time. This will also help you understand novel topics deeply and quickly — the perfect tactic for steady blogging. Once you’ve landed on the perfect timely topic, it’s time to make it pop — and that starts with a killer title. 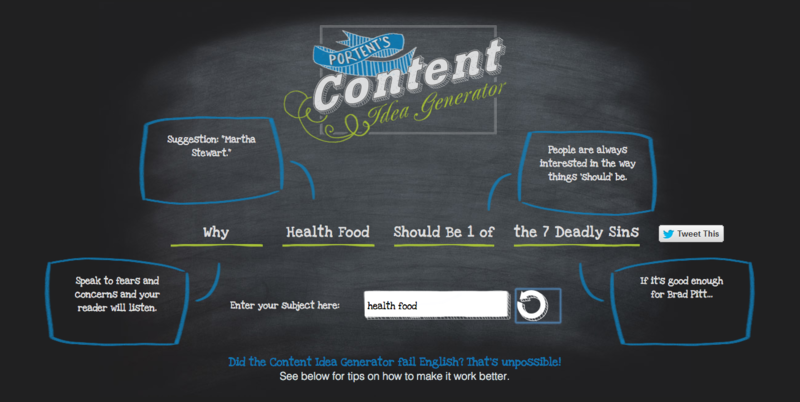 If you want to stand out from the crowd and stir up a following, Portent’s Content Idea Generator is the way to go. First off, it could not be easier to use; you simply type in a keyword and refresh to see the many unique (and often funny) titles you could go with. This tool will undoubtedly add personality to your post. It’s fun to use (think marketing Mad Libs) and it will cure your writer’s block by offering a truly fresh approach that will increase your site visits. 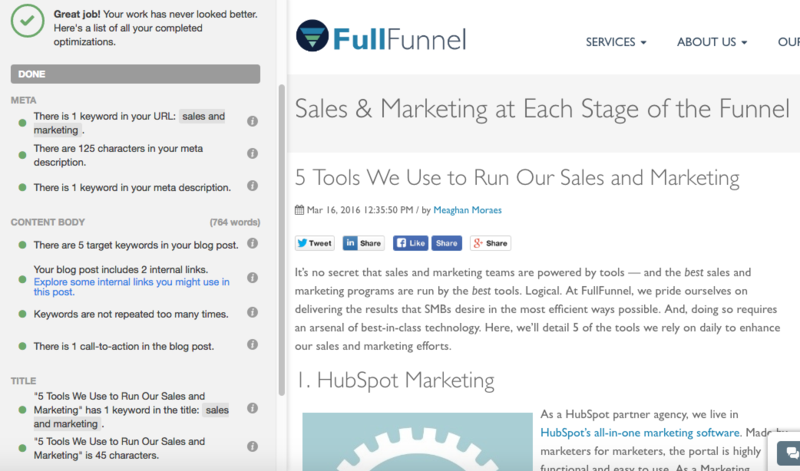 Unlike most SEO tools that require users to conduct outside research and prioritize keywords throughout their website and blog, Hubspot’s all-in-one-platform gives you SEO recommendations alongside your content so you can quickly optimize for target keywords. Simply choose the keywords you want to include in your post and HubSpot gives you a step-by-step list of each element that needs to be optimized, with suggestions and color-coding to represent if you've optimized to the best of your ability. This is a huge time saver and will teach you how to improve your optimization skills in just seconds. These helpful tools will enhance your ability to deliver quality blog post frequently, which will ultimately help your business get found.